Maybe our mission, 'should we choose to accept it', is not to mention the death of Jesus in a Christmas sermon this year. 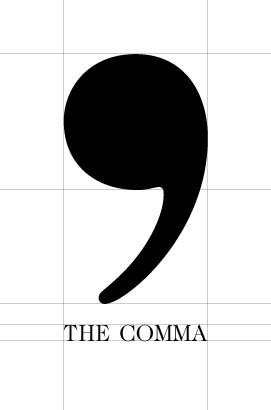 When our message is condensed to ‘he came... to die’ we perpetuate the mistake of the cosmic comma. Thank you, David. "I am come that you might have Life in all it's fullness"
FANTASTIC! Thank you David, spot on. Just what we all need to remember. Thank you - love the "cosmic comma"
What concerns me about your challenge to 'omit the cross from Christmas sermons' is that many of the people who will come into our building over the next few weeks will genuinely never have made the connection between the cradle and the cross. Whilst I agree that it is VITAL to help them see the glory of the Incarnation [thanks Chris Duffett, for the brilliant Get In The Picture initiative, which has helped with that] surely it is also CRUCIAL to share the joy of the Resurrection? If we are talking about commas and punctuation, I think it is wonderful that for a Christian, a sentence of life doesn't end with the full stop of death. Blessings, as you prepare all those Christmas sermons! Angela, I think I may sneak a mention in about him dying too, at which point someone may throw a tomato my way! But many of the people who come into our churches over the next few weeks are there to do something akin to 'touching the hem of the garment' of Jesus. They don't know what they want really but they come to experience something deep, emotional, even comforting. They come from the context of lives that consist of relationships, finances, troublesome neighbours, worries about kids and so on. The message 'he came to die' is largely an answer to a question they are probably not asking. 'He came to show us how to live' is such an attractive and necessary message. And part of that, in due course, is 'he also came to die'.